In what will go down in history as the most important trade union congress since the founding of Cosatu in 1985 delegates at the special congress of the National Union of Metalworkers of South Africa have taken the bold and historic decision to cut ties with the ANC. With financial and logistical support for the ANC withheld, the ANC will be entering the 2014 elections without the support of Cosatu’s biggest and most politically influential union. Given the support Numsa enjoys in the rank-and-file of all Cosatu affiliates, including those under pro-capitalist leaders, this means that the ANC stands to lose not just the votes of the 340 000 Numsa members, but potentially more than a million more from the rest of Cosatu’s affiliates. The ANC will emerge from the 2014 elections significantly weakened. The less than 50% nightmare scenario of the ANC’s own election strategists cannot be ruled out. The aftershocks of the earthquake detonated at Marikana that loosened the foundations of the post-apartheid political dispensation put together so cunningly in the negotiated settlement at Codesa, has now found expression on the political plane. To adapt the title of political commentator Allister Spark’s book on perspectives for the country after Codesa, today SA is another country. The golden bars of the political prison in which the working class has been kettled for going on twenty years, have been broken and the process of the class emancipation and political independence of the working class has begun in emphatic fashion. Additionally, Numsa will cease financial contributions to the South African Communist Party breaking the political link with this “ideologically bankrupt” party in the words of Numsa general secretary Irvin Jim. The anger and sense of betrayal that delegates felt for the ANC and SACP leaderships was on full display throughout the conference. At no point did a single delegate make any serious argument for continuing to support the ANC. In the minds of Numsa members the reality is clear: the ANC and the SACP are parties of the capitalist class. Everything in their actions over the past twenty years demonstrates this. The next ANC-led government, with the neo-liberal National Development Programme as its centrepiece, will be a consciously anti-working class government and does not deserve the support of the working class. At this stage, Numsa has held back from taking a decision to support an alternative party in 2014 and has simply reiterated the right of Numsa members to vote as individuals according to their convictions. 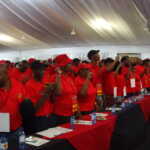 Instead of taking a clear position on 2014 at the congress, Numsa has taken the decision to launch a “united front” modelled on the United Democratic Front of the 1980s to unite the struggles of workers and communities whilst simultaneously helping to bring into being a “movement for socialism”. WASP, in its open letter to Numsa made the call for the launching of a socialist trade union network to help overcome the divisions in the working class and the paralysis of united struggle caused by the crisis in Cosatu. We also made the call for an Assembly of Working Class Unity to draw up a battle plan for the struggles of the masses. In Numsa’s decision to launch a United Front and a Movement for Socialism we recognise these calls as broadly met. However, with the national and provincial elections only months away we invited Numsa to “take its place in the leadership of WASP”. WASP was launched to unite the struggles of workers, communities and youth and is organised in a democratic and federal way that would have allowed Numsa to use the WASP umbrella to stand its own candidates, selected by Numsa’s own procedures. Numsa could take its opposition to the National Development Plan into the national parliament as an ancillary to the struggles that will be waged in the workplaces and the communities. At Numsa’s special congress the leadership laid down criteria that any political party would have to meet in order to warrant political support. These criteria were endorsed by the delegates in the adoption of the secretariat’s report. We believe WASP meets these criteria. WASP was born out of the struggles of the mineworkers and bases itself on the working class; WASP stands for the nationalisation of the mines, the banks, the commercial farms, the factories and other big business on the basis of workers control as part of the struggle for a socialist society; WASP is a thoroughly democratic organisation. As part of the adoption of their new political strategy, the Numsa leadership was given a mandate to “be alert” to a “party committed to socialism standing for elections in future”. We therefore repeat our call for Numsa to take its place in the leadership of WASP and support and stand candidates under the WASP umbrella in the 2014 elections as a crucial part of building the new Movement for Socialism. The limitations of Numsa’s specific position on the 2014 elections cannot however detract from the monumental shift in the political landscape that Numsa’s decision heralds. The break-up of the post-1994 political settlement is now well advanced and the path towards the political independence of the working class embarked upon. Numsa’s decision has accelerated the process begun by the mineworkers in 2012. In recognising the changed political situation post-Marikana that required the convening of a special congress Numsa has taken this process on to a far more conscious level. Delegates welcomed survivors and family members of the Marikana massacre and raised an astonishing R200 000 for the families of the slain. This will be topped up to R500 000 by Numsa’s Investment Company staff and the company itself. The prominence accorded at the congress to the mineworkers’ struggles of 2012, including the Marikana massacre, was Numsa’s acknowledgment of the role the mineworkers played as the advance guard of the working class in breaking free from the prison of the Tripartite Alliance. The mass exodus from the National Union of Mineworkers was simultaneously the breaking of the political link with the ANC. It was out of this opening battle that the Workers and Socialist Party was born. Numsa has now fully joined the battle that the mineworkers began. Numsa sent a clear signal to mineworkers and other workers that Numsa will not abandon them to the pro-capitalist misleadership of unions that continue cling to the ANC. Irvin Jim declared that Numsa “will no longer reject any worker” in open defiance of Cosatu’s “one union, one industry” policy. Jim even lamented that this has not been Numsa’s policy at the time of Marikana. This will put Numsa on a collision course with the pro-ANC right-wing of Cosatu and almost certainly led to the break-up of Cosatu. The decision to withhold their monthly R800 000 Cosatu affiliation fee until the demand for a special congress is met is another bold move. With plans for rolling mass action in early 2014 and the extension of the hand of solidarity to the mineworkers by the congress – who will most likely be waging new struggles over wages and retrenchments in the new year – means Numsa will be at the centre of workers’ struggle in the next period. The planned conference for socialism will continue the discussion, begun at the special congress, on building a working class political alternative. Numsa has taken its first steps into the new landscape they have helped create and alongside WASP and the mineworkers taken up the historic task of rebuilding the political independence of the working class. WASP salutes the Numsa leadership and the Numsa delegates for their decision. WASP will be producing more detailed material and analysis of the tasks faced by the working class in light of the decisions taken at Numsa’s special congress in the new year. Below is the text of an open letter from WASP to NUMSA members. The Workers and Socialist Party salutes NUMSA for calling this special congress. We condemn in the strongest possible terms the personal insults levelled at the leadership and the threat on comrade Jim’s life and commend the comrades for their refusal to flinch from the tasks at hand in the face of this vile, vicious witch-hunt. So critical are the issues on the agenda that it is justifiable to describe NUMSA’s special congress as the most important political event of the labour movement since the founding of Cosatu itself in 1985. The outcome of this congress has the potential to change the political landscape of the country decisively, completing on the political plane the process begun by the uprising of the workers on the mines in the latter part of 2012. This congress is in fact an expression of the aftershocks of the earthquake generated by the massacre of 16th August 2012, and should be dedicated to the memory of the martyrs of Marikana. It would be a fitting tribute to the comrades who sacrificed their lives for the working class on a day that changed the course of the country’s post-Apartheid history. What is to be deliberated upon are the most critical challenges facing the working class today, issues that the Marikana atrocity illuminated with blinding clarity. This congress has the potential to lay the basis for the resolution, over time, of the intertwined political and class contradictions that have accumulated over the past two decades of bourgeois democracy, and enable the working class to take its rightful place at the head of the nation, charting the way towards a socialist South Africa. Should this congress take the decisions necessary for the working class to reclaim our class and political independence, it would act as a beacon for the working class of the entire continent. This congress is being watched by millions of workers across the world in great anticipation at a time when they face an internationally orchestrated onslaught from the capitalist class, who are determined to load onto our shoulders the burden of the worst crisis of capitalism since the Great Depression of the 1930s. NUMSA’s decision to postpone the start of the conference by five days as a mark of respect for Madiba’s passing was correct. The booing of Zuma and the ice-cold reception of other leading ANC members at memorial services for Madiba is a clear indication of the complete divorce in the minds of the working class between their hopes and aspirations for a democratic South Africa – personified in Madiba – and the disgrace of the modern ANC and the inequality, suffering and corruption they have presided over. 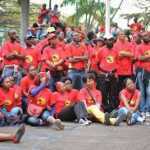 NUMSA should take this as a vote of confidence in the course of action you have embarked upon. As we pointed out in our Open Letter to Cosatu members in June, the attack on Vavi has little to do with the allegations of corruption and now sexual misconduct against him. The real motive, irrespective of the merits of the allegations, is to emasculate Cosatu, reducing it to a rubber stamp for the ANC’s pro-capitalist policies. Once the attack had commenced, NUMSA had no alternative but to accept the challenge and to enter battle. It was not just Vavi’s fate that was at stake, but the fate of the entire working class given the federation’s social and political weight. We support NUMSA deputy general secretary Karl Cloete’s characterisation of this battle as one between a pro-capitalist wing and a pro-socialist wing. But fundamentally, the NUMSA leadership’s stand is a reflection of the continuing socialist consciousness of NUMSA members themselves, their understanding of the worsening situation in South Africa, their frustration with it, but crucially the burning desire to act to change the course of events in favour of the working class. It is to the NUMSA leadership’s everlasting credit that it took up the battle. This is not just a battle in Cosatu but a battle for Cosatu. Will Cosatu become a mere ‘labour desk’ for the capitalist ANC mandated to police the workers, prevent them from resisting their exploitation and working to reconcile them to their own oppression as their neo-liberal National Development Plan is implemented? Or will Cosatu be reinvented as the fighting centre for the coordination of working class struggle against the NDP and for the socialist transformation of society? Let us be clear, whilst the battle in Cosatu appears to be a battle within the organised working class – of different factions of the leadership of the same class – it is in reality a battle between the classes. This struggle is mediated though factions that represent the diametrically opposed and incompatible interests of the main classes within society – the pro-Zuma wing acting on behalf of the capitalist class, and NUMSA and the unions supporting it, representing the interests of the working class. Whilst the courts are never the most favourable terrain on which to engage in the class struggle, we have supported the tactic of taking the right-wing to court to overturn Vavi’s suspension as a necessary but subordinate tactic in the battle for Cosatu. Challenging the suspension of Vavi was correctly intended to expose the pro-capitalist wing’s abuse of federation structures to promote their anti-working class agenda and behind them the agenda of their political management – the ANC government. In similar vein, the demand for a special congress was intended to break down the dictatorial fortress the Central Executive Committee majority had built around itself at the summits of the federation, protecting itself from the “barbarians at the gate” as they see it, in other words, the rank-and file majority in all affiliates. But the outcome of Cosatu’s November CEC calls for a review of the tactics pursued hitherto. It seems clear that within the main battle arena of the federation itself, the pro-capitalist wing has succeeded in using its majority on the CEC to “create facts on the ground”. And what are these facts? Firstly, the special congress will take place. They are constitutionally bound to convene it. But it will take place at a time chosen by the pro-capitalist wing – that is after the 2014 elections! With the special congress delayed until November 2014, the pro-capitalist wing is maintaining Cosatu’s existing political position by dictate in order to place Cosatu’s apparatus, infrastructure, membership, shop steward cadre and political authority at the disposal of the ANC in the 2014 elections. In other words they are seeking to prolong the reign of the ANC. The very same ANC that is seeking to destroy Cosatu’s independence in order to break the resistance of the working class to facilitate the implementation of the NDP and the off-loading of the burdens of the crisis of capitalism onto the shoulders of the working class. Under the ANC we have had the implementation of e-tolls; we face mass retrenchments on the mines and elsewhere; continued super-exploitation through labour brokers; increases in fuel, electricity and basic food prices; the continued exclusion of the working class from decent education, health care and services; continued poverty, unemployment, inequality and corruption; and the passing of the Secrecy Bill, the Traditional Courts Bill and the National Key Points Act to roll back the gains of democracy and to protect the corrupt. In other words, by the time the Cosatu special congress is convened, the working class will have endured a brutal assault while their first line of defence – Cosatu – due to the splits and divisions will remain paralysed. This is of course the intention of the pro-capitalist wing and the ANC. Secondly, bound up inextricably with its timing, the conference will take place in circumstances where the agenda demanded by the socialist wing – a debate over the suspension of Vavi and elections for a new leadership – will take place more than a year after the issues were first raised. What this tells us is that the pro-Zuma leaders will use every dirty trick in the book to try and defeat NUMSA. As the personal insults levelled at comrades Cloete and Jim, as well as the threats to the life of the latter prove, they will not ‘play fair’. There is no guarantee of victory for the socialist wing at the Cosatu special congress. The pro-capitalist faction has thus succeeded in stripping the victory of the socialist wing on the specific demand for a special congress of all meaning for the purposes of addressing the immediate challenges facing the working class both on the industrial and political plane and succeeded in perpetuating their undemocratic grip – and through them the ANC’s – on the leadership of the federation. The pro-capitalist faction has been driven to these measures not out of a sense of confidence but a growing recognition of their isolation from the Cosatu rank-and-file including in their own unions. They have drawn their conclusions not from the court proceedings, from which so far they have little to fear, but from the deafening roar of disapproval from the rank-and-file at shop stewards councils and demonstrations across the country in recent weeks. They have recognised from the booing of Cosatu president S’dumo Dlamini and Nehawu deputy president Joe Mpisi, that there is overwhelming opposition to them in their actions not only in the unions supporting NUMSA, but in their own unions as well. This has reinforced their determination to prevent the rank-and file a say on the most vital question that will determine the future of the federation itself. In fact it would be no exaggeration to say that in dismissing the demand for a special congress now, the capitalist wing has in effect carried out a palace coup. The pro-capitalist faction’s sense of isolation has also been reinforced by the provocative actions of their political masters in the Zuma-led ANC government. Whilst there is a fundamental continuity in economic policy and class character between the Zuma administration and its predecessors – including especially Mbeki’s – in other respects the Zuma government represents a qualitatively different political regime or ‘way of doing things’. Amongst the most important of these differences is the attitude of the Zuma administration towards the Tripartite Alliance, Cosatu and the working class. 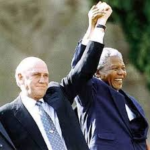 The Tripartite Alliance could never have been anything other than what it turned out to be in practice – a talking shop in which the pro-capitalist ANC would have to insist, as it did repeatedly, that it was not an Alliance of equals but one that was ‘ANC-led’, with the other Alliance partners subordinate and even subservient to it. But whatever it was in practice, all partners took care to repeatedly swear allegiance to it. The difference with the Zuma administration is that it has abandoned all pretences about its class character. It is an unapologetic party of capital and has dispensed with all the hypocritical posturing of the past. The implementation of e-tolls is a perfect illustration of a government defying its own people as all capitalist regimes have to. The Alliance is being treated with barely concealed contempt. This administration will no longer genuflect before the statue of the Alliance like a Catholic devotee bowing before the figure of the Virgin Mary. All the actions of this government must from now on be viewed through the prism of the Marikana massacre. The failure of the Mangaung conference to even observe a minute of silence for the victims of Marikana was the Zuma administration’s announcement that the Tripartite Alliance is dead. Accordingly the ANC leadership’s early attempts to persuade the pro-capitalist wing of the CEC to sheath their daggers and try to preserve the unity of the federation (with possible minor concessions) have been jettisoned in favour of a more aggressive posture towards the socialist wing. It is the duty of the entire membership of Cosatu to come to the defence of the NUMSA leadership. Even more than was the case with Vavi, this attack is directed against NUMSA’s entire membership and the working class as a whole. At the same time the events of the past few weeks have demonstrated that it is to NUMSA that the overwhelming majority of the Cosatu membership is looking for leadership out of this impasse. WASP therefore appeals to Numsa to answer the call to give leadership. The working class cannot allow itself to be paralysed by the undemocratic dictatorial manipulation of Cosatu by the pro-capitalist faction in control of the CEC. The capitalist class and their government are on the offensive against us. To wait for the outcome of the legal process would be to allow for the possibility of prolonged paralysis leading to demoralisation within the wider rank-and-file. This would play into the hands of the bosses and their government. The imposition of e-tolls, retrenchments in the mining sector, labour broking, the youth-wage subsidy and many other issues requires that we act now. The most serious consequence of the crisis in Cosatu is the fracturing of working class unity. This is weakening all workers whether inside or outside Cosatu. As NUMSA has warned, the crisis has led to the paralysis of Cosatu as a leader of united working class struggle. Inevitably workers are not waiting for their bankrupt leaders. New unions are being formed out of splits in Cosatu affiliates. In other cases, workers are moving between unions en masse. Sometimes this is between Cosatu affiliates; sometimes this is out of Cosatu affiliates to independent unions, for example the exodus from NUM to AMCU. In struggle workers have turned to non-union structures to lead strikes such as the mineworkers and farmworkers use of independent strike committees to organise and lead struggle on their own terms. Without an organised pole to regroup those forces leaving Cosatu that can simultaneously act as a bridge to those remaining in Cosatu for now, the capitalist class will be able to utilise our divisions in order to attack. We must not allow the capitalists to storm through the breach in our defences, but must lead the charge in the regrouping of all class conscious workers. No time can be lost in raising the banner of working class unity. 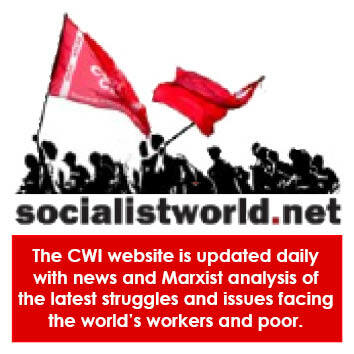 WASP has made the call for the founding of a Socialist Trade Union Network that would put the issue of workers’ unity centre stage by being open to all workers wiling to struggle regardless of industrial and political affiliation. On this basis the network could begin to play the role of uniting the working class on the industrial front in the manner WASP is attempting on the political plane. We call on NUMSA to co-launch the network with WASP and others as a way to foster unity, build solidarity and extend the hand of friendship to those workers for now imprisoned in the pro-capitalist led unions. We propose NUMSA convenes an Assembly of Working Class unity early in the new year to map out a battle plan for the working class – the role that the Cosatu special congress should have played if not for the sabotage of the pro-capitalist wing. NUMSA should use this platform to invite the support of the entire labour movement within and beyond Cosatu, as well as communities and the youth, to support its proposed programme of rolling mass action early next year. This would free NUMSA from the constraints of the battle inside Cosatu, circumvent the delay of a special congress and answer the urge for unity expressed in the support that has been shown for NUMSA by the rank-and-file of all Cosatu unions including the rank-and-file of the right wing unions. It would also enable NUMSA to reach out to the wider working class and youth. At the same time we urge the NUMSA special conference to take a clear position on the political plane. We wholeheartedly support the NUMSA CEC’s recommendation to the special conference not to support the ANC in the 2014 elections. This is in fact already a minority government. Considered as a percentage of the entire eligible voting population, the ANC’s vote declined from 38% in 2004 to 34% in 2009 with losses in every province except KZN through the massive abstention of 12.4 million. This minority government is now determined to rule in open defiance of the masses. The survey of Cosatu shop stewards’ political attitudes shows that 67% would support a workers’ party if Cosatu supported it. That survey was nearing completion when the Marikana atrocity was carried out. In all likelihood support for a workers’ party is now considerably higher. Beyond the survey, the support for NUMSA has been demonstrated on the streets and in the conference halls. NUMSA is therefore on firm ground so far as support from the rest of Cosatu workers are concerned. However, withdrawing support from the ANC poses the question: who will NUMSA and the working class support in 2014? Parliamentary politics may be the lowest form of class struggle, but it is an arena of struggle nevertheless, albeit subordinate to the struggle on the streets, in the workplace and in the schools. At this crucial conjuncture it is a struggle from which we dare not abstain. That would merely allow the pro-capitalist ANC back into office without any working class opposition, and embolden a government that has never been as weak as it is today enabling it to emerge from the 2014 elections much stronger than it actually is. Even worse, resuming the governance of the country in the knowledge that it no longer rules with the active consent of the masses, could reinforce the tendency to defy the will of the people as it has done in the case of the e-tolls, feeling it has nothing to lose. Following the Khutsong uprising over the demarcation battle, the township was declared a no-go area for the ANC with a massive boycott reducing the level of voter participation to the dozens. But the ANC remained in control as no alternative candidates stood. Cosatu’s mistaken policy of not campaigning for the ANC in the Western Cape in 1994, under the liberal notion that your vote is your secret isolated the Coloured working class from their African class brothers and sisters in the province and the rest of the country allowing the National Party to play on Coloured minority fears leaving the working class in that province under the reign of the NP and later the DA to this day. AMCU’s ‘a-political’ position is in fact political. It demonstrates an indifference to the vital question of the class character of the political party that rules the country, reduces the working class to spectators in their own oppression under a capitalist government and leaves workers vulnerable to political exploitation by parties whose only appeal is that they are not the ANC, mercilessly capitalising on the ANC’s betrayals without offering a working class alternative. The capitalist class in the meantime have recognised that the ANC’s political capital is all but exhausted and no longer rules the country with the active support of the working class majority. They are therefore actively preparing for alternative scenarios. A future coalition of Agang, the DA and a split from the ANC or some permutation of such a pro-capitalist coalition to take over the ANC’s mandate – the preservation of the economic dictatorship of capital – cannot be ruled out in the future. The crisis of capitalism in SA, faced with twin deficits in the budget and balance of payments, a weakening currency, and the first downgrades by rating agencies since 1994, will require intensified attacks on the working class. Without the working class represented in parliament in our own name the only debate in its chambers will be about how to carry out the attacks on the working class. Withdrawing support from the ANC would be an act of historic significance. It would represent the final act of loosening the shackles of the Tripartite Alliance clearing the way for the emergence of a mass workers party on a socialist programme. In our view it would be a serious mistake not to lay the groundwork for the creation of such a working class alternative now. The crisis of capitalism continues relentlessly. The capitalist class will not suspend their assault on us pending the outcome of our debates. The careful study and assessment of the state of workers parties and socialism internationally as proposed by NUMSA are of course necessary. But the process has a timetable that will be concluded only by the first central committee in 2015. We respect NUMSA’s internal processes. But history has placed on NUMSA’s shoulders the historic responsibility to lead the way for the entire working class. To fail to give direction to our class brothers and sisters on how to approach the elections amounts to abstention and can only benefit the parties of capital, principally the ANC, but even the DA and Agang which could gain from a protest vote to punish the ANC without such voters necessarily supporting these parties’ capitalist policies. Politics abhors a vacuum as much as Nature. Into such a vacuum can step all sorts of political formations taking advantage of working class discontent to prolong their oppression. There has in fact been a de facto boycott of the elections over the last few polls as voters stayed disillusioned with the ANC, but choosing to stay at home rather than cast their votes for the opposition capitalist parties. But this has not prevented the ANC, faced with a weak pro-capitalist opposition, to win what appear to be massive majorities in successive elections. SA’s proportional voting system allows dominance in parliament to be presented as dominance within the electorate as a whole. This emboldens the government in the implementation of anti-working class polices on the basis that it enjoys a legitimate mandate. We therefore call upon NUMSA delegates at the special conference to go a step further than merely withdrawing support for the ANC and to support the formation of a mass workers party on a socialist programme calling for the nationalisation of the mines, the banks, the commercial farms, the factories and other big business on the basis of democratic workers’ control and management. This could take the form of providing guidance to workers on the criteria to use in deciding who to vote for. If the internal processes towards a workers party must follow NUMSA’s existing internal timetable then we propose that NUMSA should at least provide guidance to workers on how to use the vote in 2014 and 2015. Workers could be advised to choose a party that is working class in origin and composition, which is a party of struggle and of socialism committed to working class unity and solidarity. We believe this will provide a presence in parliament for representatives elected by workers on a socialist programme, complementing NUMSA’s internal processes which must surely be aimed at creating a mass workers party on a socialist programme. However, the Workers and Socialist Party has already been launched emerging as it did out of the epic struggles of the mineworkers led by the national strike committee of the mine workers which led the most significant working class revolt since 1994. WASP’s aim is to unite working class struggles in the workplace, education institutions and in townships and informal settlements involved in service delivery protests. Already WASP is formally backed by the National Transport Movement (a 50 000-strong split from SATAWU) and the Transkei region of South African National Civic Organisation (SANCO). With on-going discussions with many others, WASP is gaining momentum. WASP is organised in a democratic and federal way that would allow NUMSA to nominate its own candidates to stand for election under the WASP umbrella. NUMSA could take its opposition to the NDP into the class enemy’s bastion in the national parliament. The banner of struggle, solidarity and socialism, in true keeping with the best traditions of NUMSA and Cosatu itself, could be raised high again. Thirty years ago this year, Numsa was defeated when it moved a resolution for the formation of a mass workers party at Cosatu’s 1993 congress. Now, all the indications are that a decisive section of the working class would support NUMSA were it to position itself as the centre of gravity in building a mass workers’ party on a socialist programme. We call on NUMSA to take its place in the leadership of the Workers and Socialist Party. Skhokhele NUMSA! The Workers and Socialist Party offers condolences to the Mandela family and all those in South Africa and internationally who are mourning his passing. Mandela is a symbol of the struggles and sacrifices of millions over decades to end apartheid and win democracy. The hopes and aspirations of that heroic struggle – with the mighty black working class playing the decisive role – were invested in Mandela. We recognise him for his role in the defeat of one of the most odious systems of oppression and exploitation in history. But whilst we salute Mandela’s role in ending apartheid, and acknowledge the mighty step forward that democracy represented, the situation for the vast majority has not improved. South Africa is more unequal now than under apartheid. As we mourn let us remember that Mandela himself called upon us to act against the ANC government if it does not fulfil the expectations of the masses, in the same way as we did against the apartheid regime. Today there is a widespread discontent expressed in service delivery protests that have made SA the protest capital of the world, including student protests and strikes. Under the Zuma administration we have experienced what would have been previously considered unthinkable — that a democratically elected government would train its guns on workers striking for the very things Mandela championed — a better life for all — slaughtering them in an act of premeditated murder. More than any other event the Marikana atrocity – which revealed once and for all that this is a government of the mining bosses and the capitalist class as a whole and not the government of the people that elected it into office — should inspire the working class to act on Mandela’s advice. How do we account for the fact that today’s self-enriching ANC leadership is removed by light years from the liberation movement of yesteryear? The answer does not lie in the moral failings of the current leadership plentiful as these are. The reason is simple: the ANC came to an accommodation with capitalism rather than ending it. One of the most extraordinary features of the mourning in the country and across the world is its universality – all classes are united as one in grief. Yet we revere Mandela for different reasons. Mandela’s famed policy of reconciliation meant different things to different classes. The capitalists worship reconciliation because it guaranteed the preservation of capitalism – the protection of the foundations of class exploitation and oppression under the new constitution, the legitimisation of the economic dictatorship of the capitalist minority over the working class majority. That is the purpose of democracy under capitalism. The working class accepted reconciliation in the hope that under democracy poverty, unemployment and inequality would end. It has not. Under capitalist, or bourgeois democracy, it could not have been otherwise. Reconciliation sought simultaneously to bring together the races and the classes. It achieved neither. Whilst the legal frameworks and administrative apparatus of racial oppression has been dismantled society looks much the same after two decades of democracy, like the rainbow in nature “the Rainbow Nation” recedes constantly the more we march towards it. As Gwede Mantashe said SA is stratified like Irish Coffee– black at the bottom, white on top with a sprinkling of chocolate floating on the cream. The ‘promised land’ described in the Freedom Charter could only ever have been realised on the basis of a decisive break with capitalism and the construction of a democratic socialist society. Mandela’s ANC – the ANC that defeated apartheid – is dead and cannot be resurrected. We must not allow the grief that millions feel – and WASP shares – at Mandela’s passing distract us from the urgent tasks facing the working class today. The greatest way to honour what Mandela represented to the working class is to continue the struggle for a society where all can live free from the scourges of deprivation, unemployment, inequality and poor services: a socialist society. This is what WASP, born in the furnace of Marikana, stands for. In outrageous contempt of court, the City of Joburg’s Johannesburg Metropolitan Police Department (JMPD) officers have just attacked and shot at street traders in de Villiers Street, central Johannesburg, wounding several. The JMPD has also arrested Socio-Economic Rights Institute (SERI) attorney Nomzamo Zondo, who was one the scene. She has been taken to the Johannesburg Central Police Station. SERI lawyers and a large delegation of street traders have rushed to the police station. SERI has represented the South African Informal Traders Forum (SAITF), supported by thousands of street traders as well as the Workers and Socialist Party, in the long struggle which today finally resulted in victory at the Constitutional Court, granting the order that street traders immediately be allowed to return to the streets to trading. The City’s forced removals, harassment, confiscation stand confirmed as illegal. The City’s and its ANC masters apparently believe they rule a banana republic. If the Con Court ruling has not been enough to relieve them of this sweet dream, they will have a rude awakening as we continue mass- and legal action to enforce our victory as well as take them on in the elections in 2014 and beyond. Victory at last for Johannesburg street traders! After two months of bitter struggle, the Workers and Socialist Party is today together with thousands of Johannesburg street traders and their organisations, celebrating a great victory: the Constitutional Court has granted with immediate effect our application for traders to return to the streets, for the City of Johannesburg to re-erect their demolished trading stands, stop all forced removals, harassment and confiscation of goods! The interdict application, which was brought by the Socio-Economic Rights Institute (SERI) with the South African Informal Traders Forum (SAITF) as the main application, had been turned down by the South Gauteng High Court on November 27. This scandalous and clearly politically influenced judgment, which amounted to saying the City rendering 50 000 people destitute and hungry is not an urgent issue, has now been set aside by the Con Court. We appreciate that the Con Court has applied the law of the land as it should. It remains an indictment on the state and the ruling party, however, that it had to take over two months of relentless struggle to achieve this victory. During this time, families deprived of their incomes have been evicted from their homes, mothers and children have fainted from hunger, learners have struggled to complete their schooling. Meanwhile the City never had a case for ‘Operation Clean-Sweep’ – the forced removal of about 8000 street traders. It was undertaken with complete disregard for the law. In fact, as has now been confirmed by Con Court, the ‘Clean Sweep’ was a mere official cover for unrestrained and unlawful policy brutality, bureaucratic abuse and ruling party corruption. This is a victory not only for the Johannesburg hawkers. It’s a victory for working class and poor people across the country. Struggle pays – but it needs unity, organisation and a clear fighting strategy to win. The City of Joburg has been ordered to pay the legal costs of all the applicants. This unfortunately means that residents of Johannesburg must pay, through their taxes, for the blunders of the African National Congress local government. It is high time to act to put an end to this abuse – WASP calls for all concerned street traders, residents and workers to put forward their own candidates under the WASP banner, first in next year’s general election and then in the coming local government elections. It is time to move from defending ourselves to taking the struggle forward. Phambili ngomzabalazo, phambili! A media briefing will be held Friday December 6, 10h00 at the street traders’ office, Bree Taxi rank (corner Gwigwi Mrwebi and Sauer Streets, opposite the park). Posted in Articles, News, Press | Comments Off on Victory at last for Johannesburg street traders!